Best selling hologram gift bags in different sizes. These hologram gift bags are perfect for everyday gift giving. 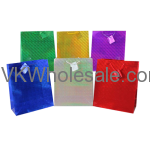 Buy hologram gift bags in bulk at lower price to save money. 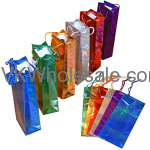 Minimum quantity for "Hologram Wine Gift Bags 12 PC" is 1. Minimum quantity for "Hologram Gift Bags Medium 12 PC" is 1. Minimum quantity for "Hologram Gift Bags Large 12 PC" is 1. Minimum quantity for "Hologram Gift Bags Jumbo 12 PC" is 1.